Eleven Ravens was founded in 2011 by a professional table tennis player and various other fans of the sport. Since then, the company has become the primary manufacturer of custom-made table tennis tables in the USA. Eleven Ravens primes for its design and skilled artists, who create not only ping pong tables. Above all, they create masterpieces, real works of art. 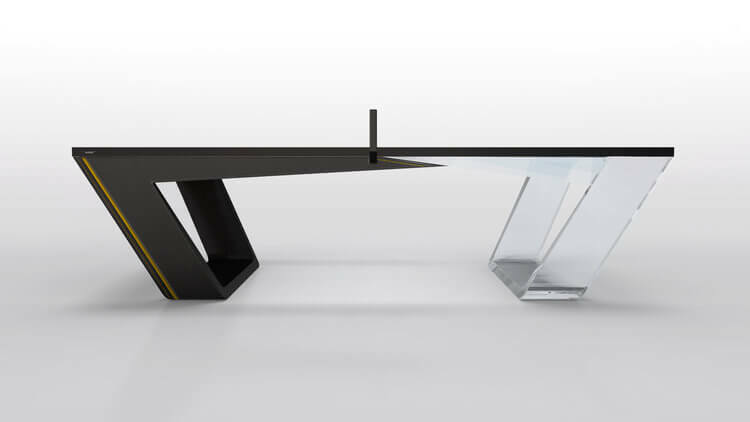 The Avettore Ping Pong table is a modern sculpture turned gaming surface, with its aggressive yet clean design. It is not the kind of ping pong table we have in our basements getting dust. Those who buy this table will want to display it. The table is entirely customizable, coming in a lot of styles, and colors, including lime, orange and black, lucite with leather, among others. The choice is yours. 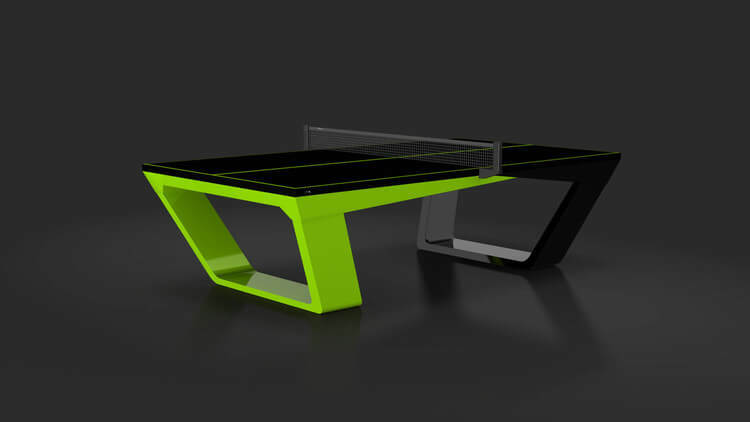 Finally, in every version of the table you will get hidden drawers to store paddles and balls and a black net. Your house guests will be static and asking you to come over and play in this beautifully designed table.